The other day I was emailing the director of the school I’m going to be working at in Spain this year, and was feeling frustrated because he wanted to meet up in a nearby town to discuss my first visit to the school. I agreed and tried to nail down a time and place to meet but got no reply. This was starting to annoy me because I’d really like to hit the ground running once I arrive, but can’t, because I don’t know where to go or when. 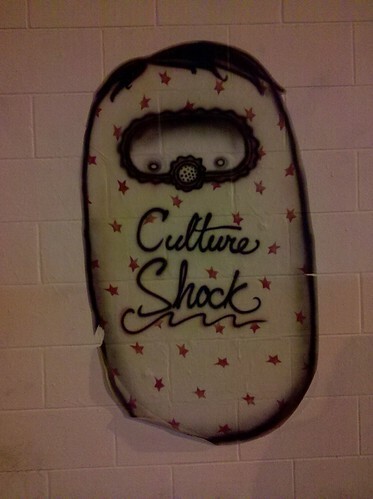 Then it hit me—CULTURE SHOCK. My school director wasn’t being noncommittal, rude, or shifty at all. He was just illustrating Hispanic culture, a culture in which being more laid-back is the norm and strictly holding to a schedule is simply unheard-of. I couldn’t believe it when I realized I was already experiencing culture shock; I haven’t even left the States yet! So basically, I just need to chill out and not worry about not knowing everything. I think there’s a phrase in Spain for this: no pasa nada. Ten days are all I’ve got left at home. I can’t believe everything for this program actually came together in the end.